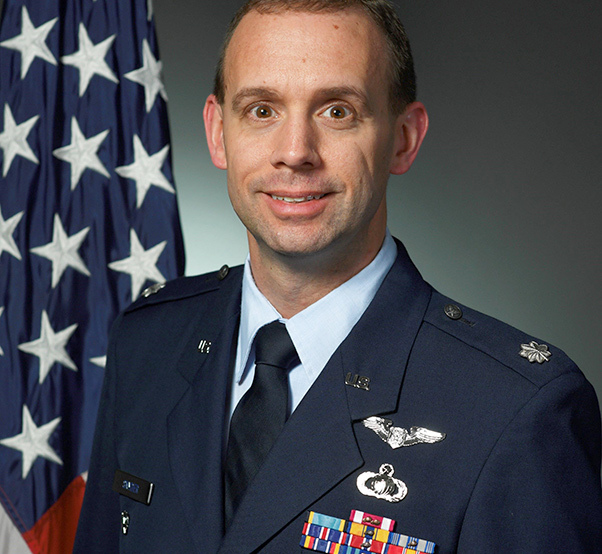 Lt. Col. Christopher Snyder has been selected for the U.S. Air Force Fellows program at Argonne National Laboratory. Science, technology and national security come together in a personal and powerful way through the U.S. Air Force Fellows program at Argonne National Laboratory, which on July 10 will become a second home to Lt. Col. Chris Snyder and Maj. Sean Richardson. Snyder and Richardson were selected for the prestigious one-year national program after a rigorous selection process based on merit, rank in their respective career fields and education and experience relevant to the Argonne mission. 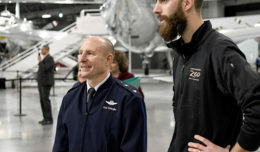 The program promotes open communication between the Air Force and Argonne and encourages collaborations to benefit the departments of Energy and Defense. “The fellowship is an opportunity for both participants to expand their knowledge and experience with the basic and applied sciences at which Argonne excels,” said Argonne’s Keith Bradley, who leads the lab’s National Security Programs. 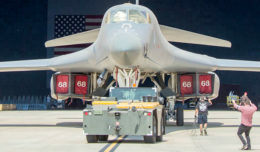 The Air Force, like all branches of the military, depends heavily on science, technology, engineering and math, like the hallmark research conducted at Argonne. For example, stealth aircraft employ some of the most advanced composite materials, made possible in part because of discoveries by Argonne scientists and facilities like the Advanced Photon Source, a powerful X-ray synchroton. This program, which began in 2003, is aimed at bringing the Air Force and broader scientific community together to foster greater collaboration and understanding. For Lt. Col. Brian Gamble, who just completed his assignment as a senior technical fellow at Argonne, it was the experience of a lifetime. Although Gamble admitted to being intimidated at first, he said he was welcomed with open arms by many gracious people who were interested in working with him. His paper is an analysis of current and future state of nanomaterial science with a focus on specific areas of interest for the Air Force. Bradley emphasized that to be selected as an Air Force Fellow is a significant accomplishment. Incoming Air Force Fellow and Indiana native Richardson is an F-16 experimental test evaluator pilot and assistant director of operations at the 416th Flight Test Squadron at Edwards Air Force Base, California. He is responsible for flying developmental test missions, leading engineering teams to plan and report on developmental flight test programs and serving on flight test technical and safety review boards. Richardson sees the highly coveted Argonne assignment as a way to expand his experience into related fields that provide personal and professional rewards and benefits to the Air Force. “I’d like to learn more about early technology readiness levels, especially through hands-on work with Argonne’s core competencies of nuclear, battery and computer research and development,” Richardson said. Ohio native Snyder is the executive officer for the Test and Evaluation Directorate of Headquarters, Air Force in Washington, D.C. He is responsible for the executive administration staff, which guides policy, resources and oversight of developmental and operational testing. 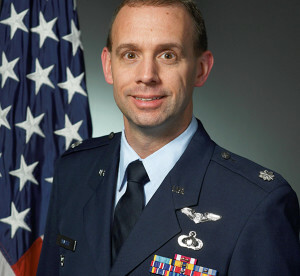 Snyder is a distinguished graduate of the U.S. Air Force Test Pilot School and has 250 flight hours as an experimental test flight engineer in 31 aircraft types. Maj. Sean Richardson has been selected for the U.S. Air Force Fellows program at Argonne National Laboratory. 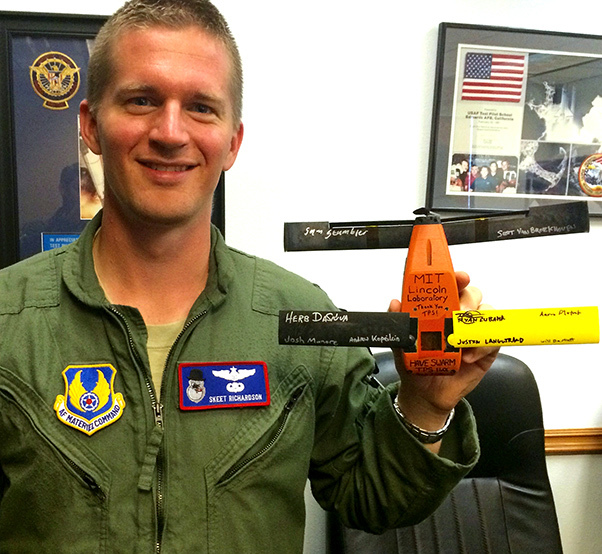 Being selected as an Air Force Fellow was a total surprise for Snyder. “I had completed my senior developmental education by correspondence,” Snyder said. “Getting to go to school in residence doesn’t happen for all of us.” He had listed the National Laboratory Fellowship program on his “dream sheet,” and the dream came true. With a strong background in engineering, he is especially excited about the chance to see and experience basic research. He and Richardson hope to get their hands dirty, expand their experience into areas of new technology and make long-lasting contributions. From Argonne’s perspective, Bradley emphasized that the Air Force Fellows program provides far-reaching benefits as it helps maintain and strengthen a longstanding relationship between the laboratory and Air Force. The partnership also further reinforces the vital role played by Argonne’s National Security Programs, which serves as a gateway for government sponsors and contractors to link into tailored diverse teams of elite researchers to solve R&D challenges in national security. 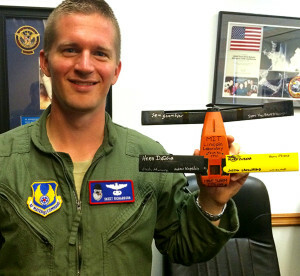 Funding for the Air Force Fellowship program is provided entirely by the Air Force, which sends more than 100 officers to fellowships each year.